Navionics has the world’s largest database of marine and lake charts, covering the salt waters of the entire planet as well as tens of thousands of lakes and rivers. Navionics Gold Small & XL9 Charts have now been discontinued. Navionics Gold XL9 Chart have now been discontinued. Choose a Pre-Programmed Navionics+ Chart for your requested coverage area. Navionics+ Small Charts have now replaced Gold Small Charts. Both of these new products contain the same great 2D cartography that you've come to expect from Navionics, but with the additional benefit of Sonar Charts and Community Edits features, if you have a compatible plotter. Coverage areas remain largely as before and are detailed in our product listings. Looking for something specific? Use our Advanced Search feature or Contact Us for help. With Navionics Updates, you get the latest charts using a Navionics Card or one from a wider range of manufacturers. By doing so, you get one year of Freshest Data service, which allows download of Nautical Chart, SonarChart, Community Edits and daily updates. Navionics Updates needs to be activated online before using. You need your old card to do it. This video shows the process for the downloadable version. The pre-programmed is even simpler. 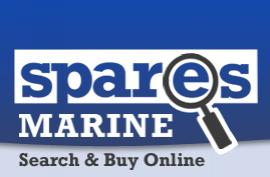 NOW AVAILABLE at Spares Marine! For Navionics Boating app users, view LIVE sonar and Navionics Charts, both full and split screen.